We are discovering new ways for occupational therapy to evolve through broad and deep collaboration across the profession. As the international representative of occupational therapy, WFOT is committed to evidence-informed practice. The Research Programme, formally instituted in 2014, seeks to support and promote the development of research evidence to support responsive, ethical, culturally sensitive and contextually relevant occupational therapy practice. This recently created programme focuses on: developing global occupational therapy research priorities through collaborative action with Member Organisations and stakeholders; facilitating collaborative networks and initiatives that uphold the values of occupation-centered, practice informed and contextually relevant research; and partnering with Member Organisations to build local research capacity in response to national and international research priorities. WFOT's research programme aims to foster the development of international research networks and collaborations that enhance the development of occupation centred evidence and broaden our understanding of occupation and participation across the world. 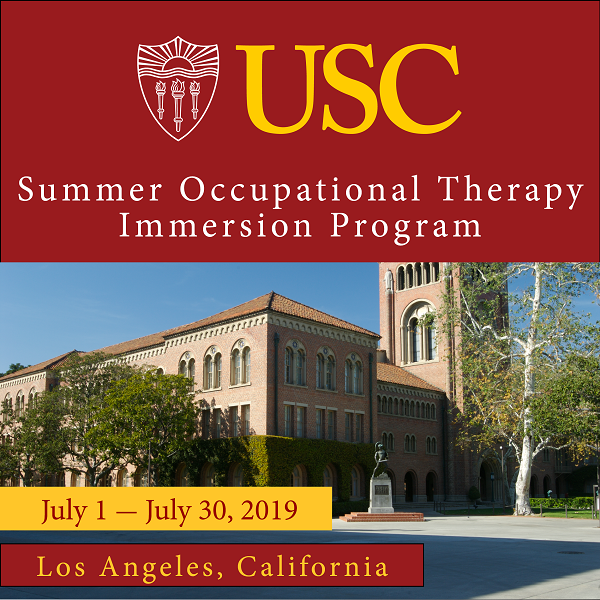 This project, led by Dr. Gail Whiteford, represents a strategic initiative to advance occupational therapy's research agenda and to deepen our understanding of diversity in occupation, participation, and well-being. The outcomes of this project will include the first-ever occupational narratives data base, as well as the cross-cultural and international analysis of the relationship between occupation and well-being. Such outcomes align with the advocacy and representation goals of WFOT and will position the organisation to undertake further strategic collaborations and advocacy efforts with international stakeholders such as WHO and ILO. Research priorities are important as the occupational therapy profession needs to be able to continually innovate and evaluate evidence to support practice. Having an international set of research priorities allows the international occupational therapy profession to develop strategic collaborative initiatives, as well as to inform other professions and the public about the focus of occupational therapy. Since the Council Meeting in 2014, the research programme has been working on a research priorities project for the WFOT. A Delphi process was completed and a list of the global research priorities can be accessed here. This set of international priorities are not a prescriptive list, but instead provide a starting point to think collaboratively about these areas, which are likely to change as new issues emerge socially and globally. With the creation of the research programme, WFOT is optimally positioned for developing and implementing a research institute during the WFOT Congress. The 1st WFOT Research Institute was hosted during the WFOT World Congress in South Africa, and featured innovative ways of knowing in occupational therapy research across continents. The institute will continue to promote the development of targeted research sessions that can enhance the awareness of methodological, philosophical and theoretical underpinnings of research in the profession. The institute will also provide an avenue for mentorship, networking and sharing amongst emerging and established scientists. The Thelma Cardwell Award was developed in 2002 (renaming a previously existing award created in 1980). The award seeks to support projects that will enhance the development of occupational therapy research. However, the uptake of the award (as reflected by a low number of applications among other factors) revealed that the message, scope and guidelines of the award required a review and re-launch. The Research programme reviewed the award and the first recipients of the revised and re-launched award were awarded pilot funding during the World Congress in South Africa. Whenever possible, WFOT’s Research programme will continue to launch the call for applications (every 4 years) and make this award a distinct and competitive pilot research project award. WFOT Is ideally positioned to undertake data gathering and analysis for the purposes of programme evaluation, development and adequate global representation. In addition, international organisations as well as Member Organisations often request support from WFOT to undertake research. As such, this projects aimed at scoping the landscape of research ethics for international organisations like WFOT, and frame the process in light of the needs, and nature of the work carried out by the organisation. The ethics statements and requirements for data collected in partnership with WFOT is available in the Authorship policy. This project will undertake a needs assessment of member organisations, to determine the need, scope and reach of a research capacity building project. Such project aims to develop strategies to build local research capacity in partnership with our members. This project will specifically determine the research capacity needs of our Member Organisations, and the strategies that could support them in such endeavours. The research programme is undertaking a scoping review that will synthesise the available literature on the diversity of research methods utilised by occupational therapists. Understanding the diverse range of research methodologies that can assist in answering occupation-related research questions is a key element in the building of research capacity. As such, this project will scope the available literature and identify these methodologies, their purposes, and origin and develop recommendations for next steps. Research mentoring is a critical component of building local research capacity. Exploring and establishing a platform and initiatives that can contribute to the generation of mentorship relationships can support researchers across member organizations in the development or visibility of their research endeavours. This project will explore opportunities and mechanism through which mentorship opportunities and networks can be developed within WFOT. Can I receive research funding from the WFOT? WFOT offers the Thelma Cardwell Foundation Award for Research, to support pilot projects or the development of innovative knowledge in occupational therapy. This Award is available to occupational therapists working in any area of occupational therapy and who are individual Members of WFOT. The call for applications is launched every four years, and the award can fund projects for up to $5,500 US. How can I purchase the WFOT mailing list? WFOT does not offer the opportunity to purchase membership lists. You may wish to consider placing an advert in the WFOT e-newsletter which is sent directly to 15,000 subscribers. 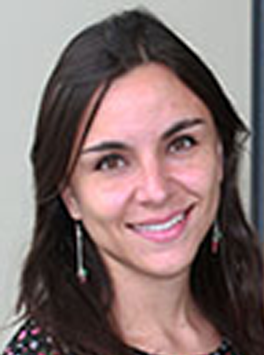 How can I recruit participants for my research via WFOT? WFOT offers the opportunity for researchers to submit a research questionnaire that will be published on WFOT’s website, giving potential access to occupational therapists around the world. WFOT does not circulate questionnaires directly to individuals or Member Organisations. The website circulation of any survey or questionnaire requires evidence that ethical approval has been granted for the study from an approved awarding institution. How can I get involved in research projects conducted by WFOT? WFOT does not conduct research studies. We do, however, provide support and information to Member Organisations. We encourage you to identify any available opportunities to volunteer and support your local Member Organisation. I want colleagues around the world to know about my research, who should I contact at WFOT? WFOT provides opportunities for networking and developing collaborations through a number of stablished strategies. First, we invite you to prepare and submit an abstract for consideration to the WFOT Congress. With attendees from around the world, this congress provides you with the opportunity to meet and reach colleagues across continents. Second, consider joining the Occupational Therapy International Online Network (OTION), a free, online platform to communicate with fellow occupational therapists around the globe. You can find more information here. Also, consider contacting your Member Organisation to submit a brief description of your work and results to the WFOT e-newsletter.